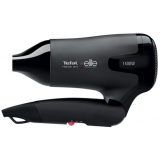 Cornell CHD-E1201TVL Travel Hair Dryer 110-120V / 220-240V / 50/60Hz / 1200w Dual voltage for travel Foldable handle & hang up hook for easy storage ..
Cornell CHD-E2001W Hair dryer 220-240V / 50/60Hz / 1800-2000w Foldable handle & hang up hook for easy storage 2 speed & 3 heating selection with cool shot function Ionic function With diffuser ..
Cornell CHD-HK1600 Hair dryer 220-240V / 50/60Hz / 1600W-2000W High/low heat settings Cool shot button locks style in place Detachable styling nozzle included Lightweight design for easy use .. 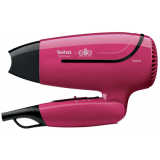 EFFICIENT DRYING WITH PURE SIMPLICITY AND EASE With easy-to-use functions and strong performance in an ultra-compact design, Handy Dry is the perfect hair dryer for daily and travel use. 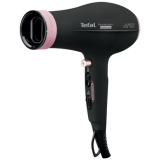 1400 W of power provide fast and efficient blow-drying results, with two spe.. 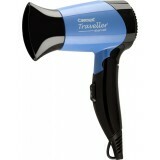 COMPACT AND CONVENIENT With the Nomad hair dryer, fast, efficient drying knows no bounds. 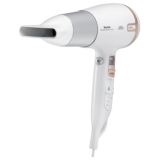 Boasting 1600 W of power and two adjustable settings for airflow and temperature, Nomad is also ultra-compact and foldable, making it the ideal travel companion for your hai.. 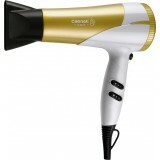 COMPACT AND CONVENIENT With the Nomad hair dryer, fast, efficient drying knows no bounds. 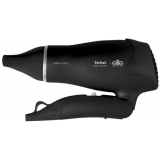 Boasting 1600 W of power and two adjustable settings for airflow and temperature, Nomad is also ultra-compact and foldable, making it the ideal travel companion for your hair. 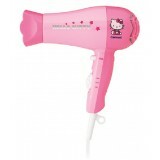 ..
FOLDABLE & ULTRA-FAST DRYING Foldable, compact and efficient, Hair Studio combines convenience with high efficiency. Thanks to the foldable frame, Hair Studio is the perfect solution for traveling. Two adjustable settings further adapt airflow and temperature.. PERFORMANCE AND CARE WITH ULTRA-FAST RESULTS Premium Care Instant Dry produces ultra-fast hair-drying results, for gorgeous hair with radiant shine. 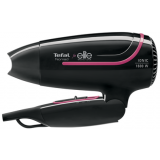 2100W of power comes together with an exclusive Moving Air Booster with oscillating directional air flow nozzle fo..
FLAWLESS DRYING Respect function: automatic combination of ideal temperature/speed to preserve hair's natural moisture and keep smooth hair surface. +25%* hair moisture preserved compared with drying at maximum setting. *Test conducted on thi..